One block from the Freedom Tower in downtown Manhattan, the private client was beginning an extensive renovation of their commercial office space including a complete overhaul of their 23-story atrium lobby. Though impressive, the space was very stark and cold and they wanted to make the space more welcoming to visitors and building occupants. 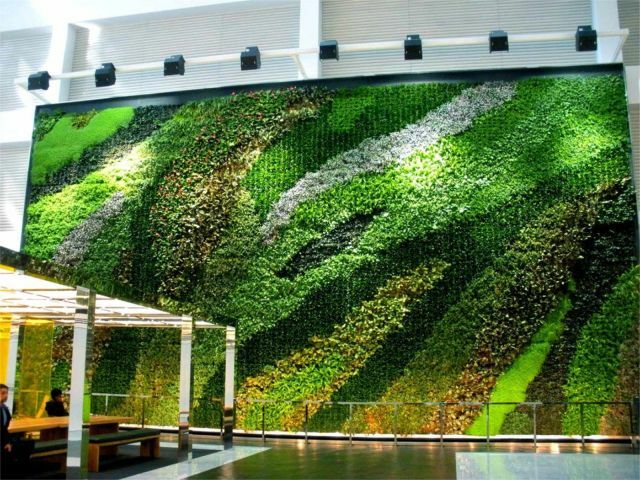 Gensler, the architecture firm designing the renovation, suggested literally “enlivening” the space with a large-scale living wall to provide a focal point of living artwork as the backdrop to a public seating and gathering area and the front security desk. 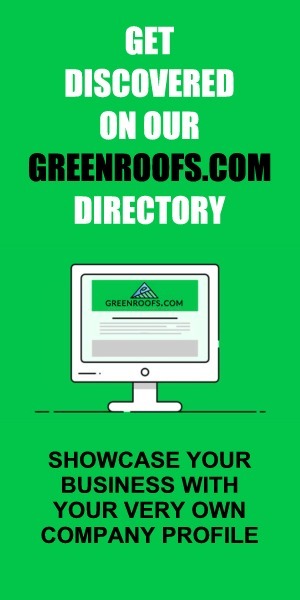 Plant Connection installed a 32′ tall by 60′ wide interior G-O2 green wall – NYC’s largest to date (as of 2012). The existing wall of the atrium consisted of recessed and louvered cutouts, making it problematic for attaching the living wall components. The architects devised a solution of building a freestanding wall in front of the actual atrium wall. 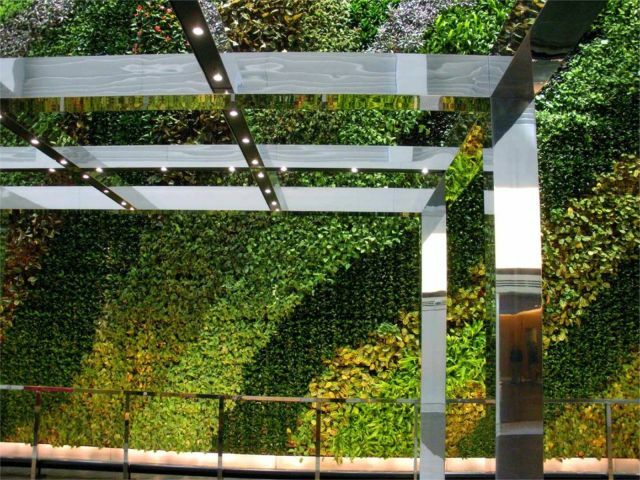 Plant Connection’s green wall designer, Sabrina Buttitta, designed an organic tapestry of plants to balance the magnitude of the 23-story corporate atrium. The 1,920 SF living wall is home to 11,673 plants, and the plant palette was carefully chosen to meet several goals. The plants had to have similar lighting, watering, and fertilization requirements. They also needed to have enough contrast in color and texture to create the “Living Tapestry” design for the living mural. Because of its size, this living wall is comprised of 12 distinct irrigation zones with an irrigation clock, which allows for individual programming of each zone separately. 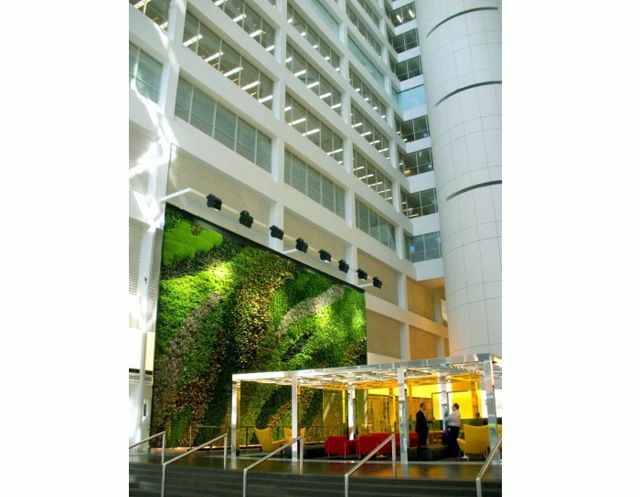 In 2013, the 23-Story Atrium Living Wall project won two awards from the Plantscape Industry Alliance, the Award of Excellence and the Judge’s Choice Award for top overall project. Planting Design: Sabrina Buttitta, BSLA, Plant Connection, Inc.